Attention: The Division of Purchasing is currently undergoing a performance review audit of the State Cooperative Contract program. This audit is being conducted by a third party auditor, Moss Adams. If you have received a feedback request, we encourage your participation to assist us in improving the program. If you have any questions, please do not hesitate to contact us. The State of Utah’s contract with BidSync expired on March 9, 2017. 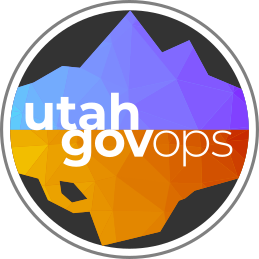 In order to help public entities, meet the requirements of Utah Code 63G-6a-112 or any public notice requirements, the State of Utah Division of Purchasing is offering Courtesy Posting Services to any public entity within the State of Utah. Click the button below to learn more about this service, or view the Courtesy Posting Services webpage for more information. The two lists Top 10 Priorities and Top 5 Horizon Issues for State Procurement reflect current priorities as well as forward-looking issues that are likely to impact state procurement. In reviewing FY2018, the Division of Purchasing wants to share information with you. The Division of Purchasing has reviewed and refreshed the list of policies the Division has in place. There are now only three policies. Finance's and Purchasing's 04 policies located Here are still in effect. Visit the Purchasing Forms Page. The State of Utah has partnered with JAGGAER (formerly SciQuest) to distribute and receive bids, proposals and other solicitations posted by the State of Utah. This contract was implemented as a result of a competitive solicitation process and serves in part to satisfy Utah Procurement Code 63G-6a-112 Required Public Notice requirements. View current, upcoming and closed business opportunities along with bid results and/or award information.